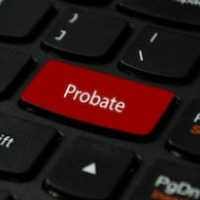 One of the basic principles of Florida probate administration is that there are certain legal deadlines for creditors to present claims against an estate. The way the process normally works, the personal representative (executor) of the estate publishes a notice in the newspaper. This notice says that anyone with a claim against the estate must inform the probate court within 3 months of the date the notice was first published, or 30 days after the personal representative personally notified the creditor, whichever is later. In addition, Florida law also sets a final deadline of two years from the date the person died. In other words, if someone died on November 1, 2016, any creditor claim filed after November 1, 2018, is barred as a matter of law–that is to say, the estate has no legal obligation to pay it. This rule even applies to claims where the personal representative also happens to be the creditor. A recent decision by the Florida Fourth District Court of Appeal, Johnson v. Townsend, offers a helpful illustration. In this case, a man died in January 2015. He was survived by his wife, who was named personal representative of his estate in his last will and testament. A Florida probate court formally appointed the wife as personal representative in March 2015, and in her official capacity, she published the required notice to creditors that same month. In September 2017–nearly three years after her husband’s death–the wife filed a petition with the probate court seeking confirmation of her community property rights in an asset that belonged to her husband. Now, Florida is not a community property state. But at the time the husband acquired this asset, the wife said they lived in Texas, which is a community property state. And under Florida law, any community property rights acquired in one state remain enforceable in this state. The deceased man’s daughters objected to the wife’s petition, however, noting it was a claim filed well after the two-year final deadline. The wife maintained that “her community property interest was not a claim against the estate subject to the statutory deadlines.” But the Florida courts disagreed. The Fourth District, upholding the probate judge’s earlier decision, said that in probate terms, a “claim” refers to any “liability of the decedent.” In simple terms, when the husband died, his estate “became liable to the wife for her community property interest.” The wife therefore had a legal responsibility to file a claim with the personal representative (which was her) within three months of the publication of the notice to creditors. Likewise, if she wanted to file a cause of action (lawsuit) against the estate, she had to do so within two years of her husband’s death. She did neither of those things, so the Fourth District said she was out-of-luck with respect to her community property claim. Understanding and following deadlines is critical to a successful probate administration, not only for the estate but also its creditors and beneficiaries. If you need assistance from a qualified Fort Myers estate and probate administration attorney, contact the Kuhn Law Firm, P.A., at 239-333-4529 today.